When you’ve been a musician in East Germany there wasn’t much of a choice regarding which label you can release your music on. Six sub labels were gathered under the roof of the VEB Deutsche Schallplatten, the monopolistic music publisher in the German Democratic Republic. All music considered as Pop music was released on Amiga. The catalogue consists of 2,200 albums and about 5,000 singles, with a total of 30,000 titles. The records were mostly GDR-based artists but also some licenced compilations with artists from the western hemisphere, as long as they were clearly compatible with socialist values. If you dig a little deeper you’ll find a lot of little treasures in the Amiga catalogue. Philipp compiled some of his favourite lesser and better known examples of Funk, Soul, Disco, GDR-Kraut and Synth-Pop for the latest UV Funk radio show. Happy diggin! 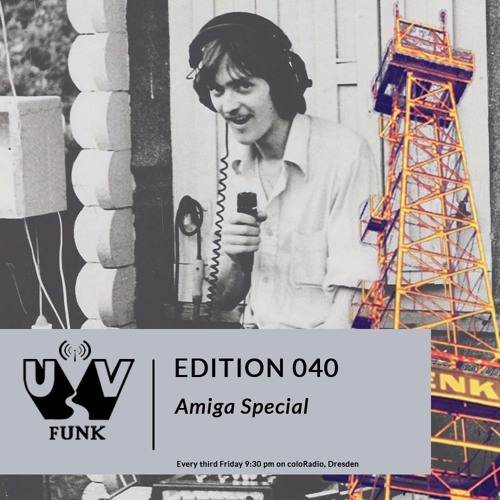 UV Funk is a radio show which is broadcasted every third Friday from 9:30 pm to 11:00 pm on Dresden based community radio station coloRadio. Radio listeners in Dresden can tune in to the program on 98,3 or 99,4 MHz. Any other listeners can recall it here. The show is hosted by @Philipp Demankowski. It’s all about stories, interviews and tracks out of the world of Cosmic Electronic Music. The show was aired on 18th March 2016.